In his role as UC President, Yudof has been at the center of debates concerning the right of students to criticize policies of the Israeli government, and whether it is appropriate for the university to divest funds from corporations directly profiting from Israel’s military occupation of the West Bank and Gaza Strip. 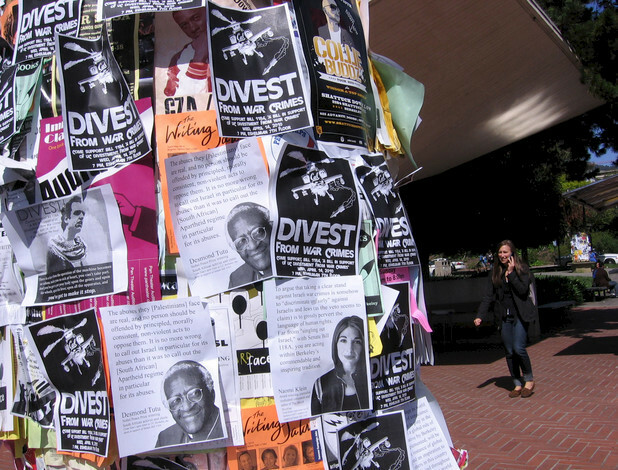 In response to student proposals that the university cease investing funds in companies directly profiting from Israel’s human rights abuses, Yudof issued a statement outlining criteria for any formal divestment move by the university. The policy affirmed by Yudof marked a departure from the criteria utilized the university in the past, and would in fact have prevented the university from divesting from apartheid South Africa, which it did in 1986. I have received a number of emails from Palestinian academics. They are unanimous that I should respect the boycott. In view of this, I must withdraw from the conference. Had I attended I would have stated my opinion that the policy of the present Israeli government is likely to lead to disaster. During his tenure as UC President, Yudof has not only participated in, but actually led, trips to Israel sponsored by the hawkish American Jewish Committee (AJC) through a program known as Project Interchange, targeted at US political and opinion leaders. Yudof has even gone so far as to recruit other officials in the University of California system, such as UC Irvine Chancellor Michael Drake, to attend the trips. Yudof said that he “sought guidance” from the AJC in connection with the university’s debates over divestment in 2010. Yudof’s wife Judy is also affiliated with the AJC. Last month, the issue of UC decisionmakers’ participation in one-sided junkets sponsored by AJC received new attention when the president of UC Berkeley’s student senate (ASUC), Connor Landgraf, declined to issue an expected veto against a new divestment resolution passed by the ASUC. 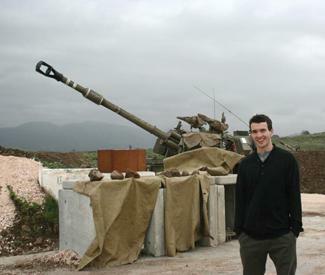 That decision followed publication of an article in the San Francisco Bay Guardian noting that Landgraf had himself participated in a fully-funded trip sponsored by the AJC. That participation in such a trip appears to have been such a liability for Landgraf raises questions over the appropriateness of Yudof even deeper involvement with the AJC. Is Yudof being paid to attend the Facing Tomorrow conference boycotted by Hawking? The conference’s official website cites the cost of speakers international travel in an appeal for donations, so it seems likely that Yudof’s trip will be at least partially subsidized. Messages to Yudof’s office seeking comment were not returned. Kudos to Adam Greenhouse for this excellent post. As a veteran engineer at UC I have followed Mark Yudof's presidency with interest. He started five years ago by receiving a 35% pay raise over his predecessor. An incredible fiasco with his housing cost the university hundreds of thousands of dollars. Now he is retiring after 5 years with a lifetime pension of over $250K per year. Meanwhile, during his presidency tuition at UC almost doubled. Student loan debt increased proportionally. In an apparent conflict of interest, Yudof is on the board of the private "Lumina" foundation which was created by the student loan industry. His wikileaks page has been carefully scrubbed of the housing scandal and other less-than-flattering information. I will happily buy a sixpack of beer to anyone who can add to some balance to it. Just FYI, Yudof's relationship with Project Interchange predates his tenure at UC. For instance, in 2007 he received an honorarium and expenses totalling $4,474 from Project Interchange. As chancellor of the UT System in Texas, he would have been required to file annual Personal Financial Statements with the Texas Ethics Commission disclosing such honoraria and other business and financial interests.